You heard right! Since January of this year, we've been offering current and future clients a videography add-on to any photography collection. The addition includes a 3-4 minute highlight reel and extended ceremony and reception coverage. We're even more excited to start sharing all of the gorgeous weddings we've been documenting! First on the list is Amber and Tommy's Chicago winter wedding. These two were absolutely adorable, and there were so many beautiful and heartfelt moments. Thank you for visiting Erin Stubblefield Weddings and Portraiture's blog. 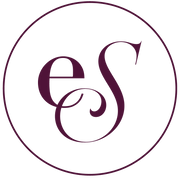 ESWP is an award-winning documentary fine art photography and cinema studio, based in Chicago and St. Louis, owned and operated by seasoned photojournalist Erin Stubblefield. Enjoy Amber and Tommy's downtown Chicago wedding, and feel free to browse other weddings documented by ESWP. To inquire about booking with Chicago and St. Louis film photographer and cinematagrapher, Erin Stubblefield, please use the email form under the ABOUT or INVESTMENT tab.